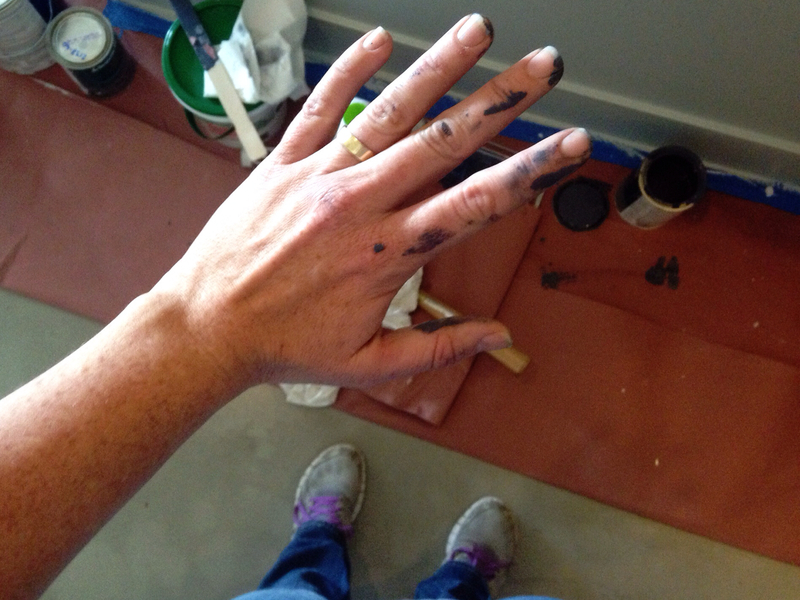 Hallway disaster & paint-covered hands. 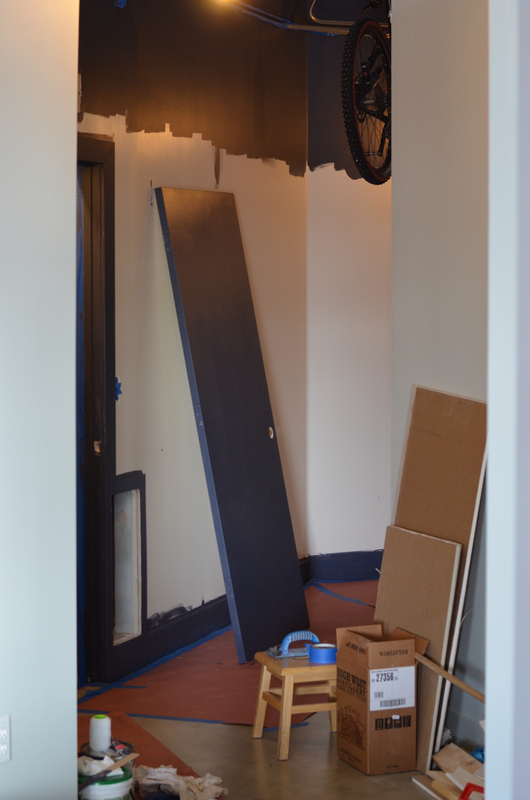 I've been put to work this morning painting our hallway in preparation for wallpapering, which will happen later this week. And, wow. This paint sure looks dark. Stay tuned to see how it turns out!